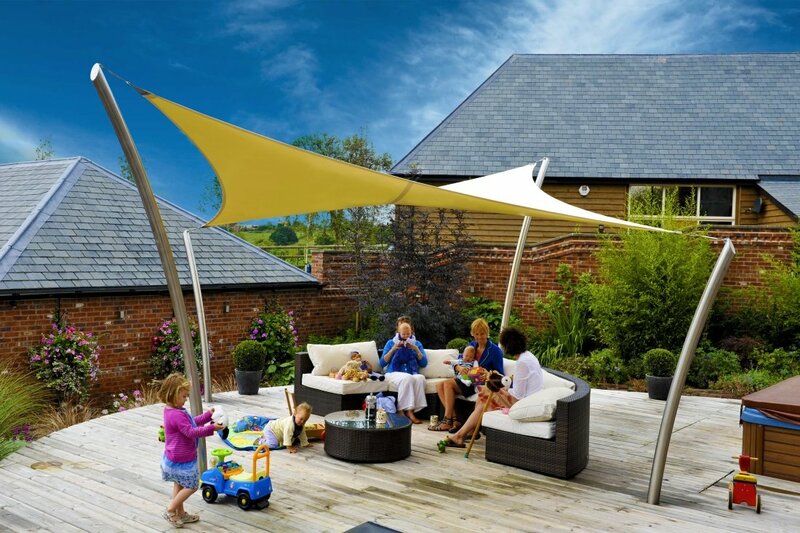 Sleek and contemporary triangular shaped garden shade sail structure. 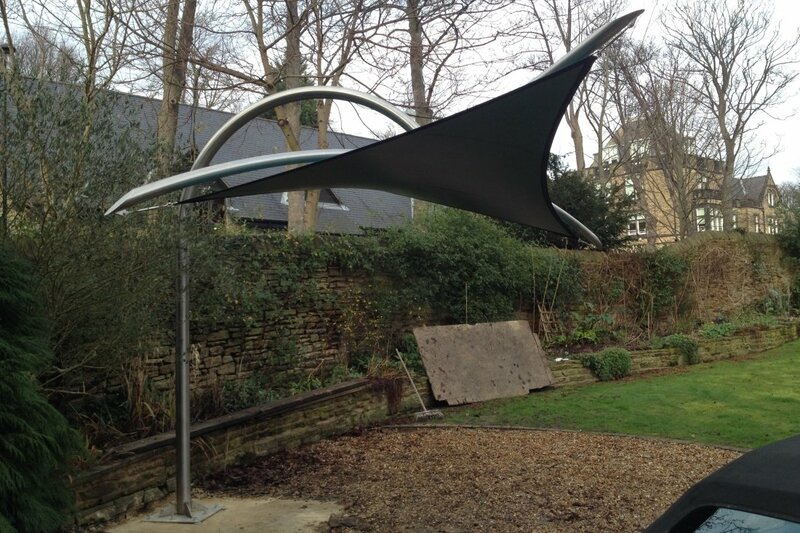 Stunning and contemporary tensile garden sail using high specification materials and architectural grade tensile fabrics. 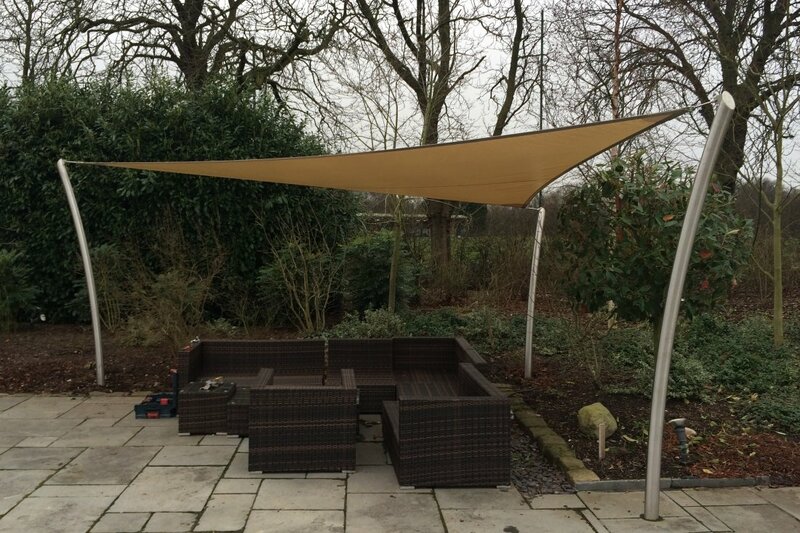 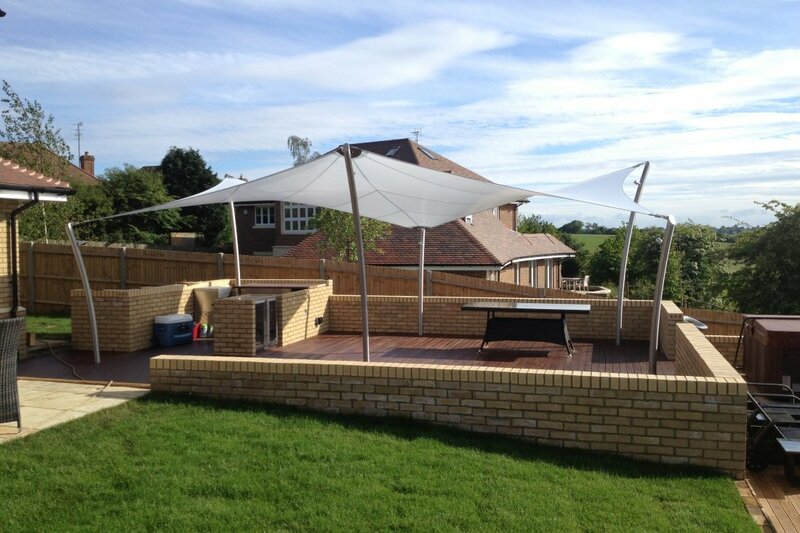 Our largest and highest specification waterproof garden sail. 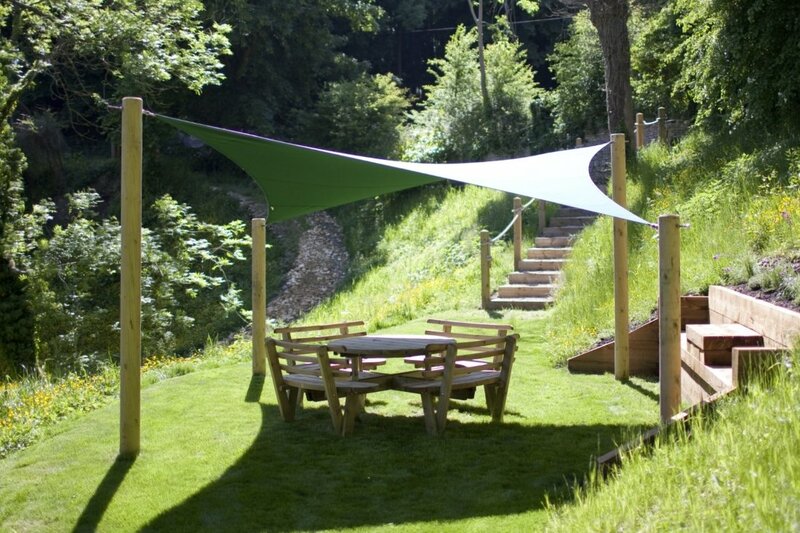 Elegant and stylish. 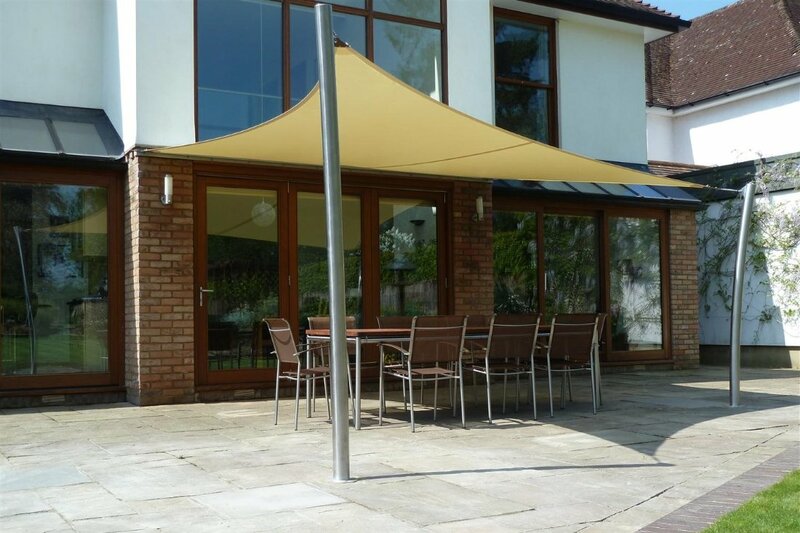 Overarching coverage and a stunning specification.